Do you have a newsroom on your website? I’d say that 99 percent of you don’t. Let me tell you why that’s a mistake and how you can easily create the ultimate newsroom that can host your PR content, drive SEO for your website, and become the media’s go-to resource. In inbound marketing, we have the concept of the buyer persona, which is your ideal client profile. Next to investors, shareholders, and employees, the media (i.e., journalists, influencers, bloggers, and so on) is another stakeholder persona whose ideal profile you need to define—just as you do for your potential buyers. When it comes to the buyer persona, you are probably creating subpages on your website called either Downloads or Resources where you host all of the content you have produced for these personas over time, including e-books, guides, videos, feeds of blog posts, and so forth. However, very few companies treat their media personas in the same way. While writing my book, Inbound PR: The PR Agency’s Manual to Transforming Your Business With Inbound, it was difficult to find good examples of small and midsize businesses (SMBs) with a newsroom. Only the big brands seem to have embraced the opportunity. For example, Cisco has a terrific newsroom. So does Lenovo. If you want a B2C example, don’t look further than Coca-Cola or Red Bull. So why are smaller companies shying away from leveraging an inbound PR newsroom on their website? Because they believe that newsrooms are only for the big guys and as such, fail to see the potential ROI. Ninety-five percent of reporters are accessing company websites at least monthly and 41 percent are visiting newsrooms daily. Journalists rank the following features as most important when it comes to a digital newsroom: having accurate contact information (90%), access to photos and video content (76%), current news and information (71%), and easy search tools to find content (55%). Sixty-nine percent of journalists never subscribe to company emails, yet 50 percent say that it’s important to be able to subscribe. What this data shows is that media people want to be treated the same way as buyers—with an inbound rather than an outbound approach. They go through a research process of their own, via company websites and content, in order to either find an idea for a story or decide who and what information they want to feature in an upcoming piece. This research process is all inbound because if you have a great newsroom, you’d be able to pull your media persona to you rather than having to push non-stop content at them through pitching. Not only will you be more effective this way, but you're also saving yourself and the journalists time. In their crazy jobs, they’ll appreciate that. 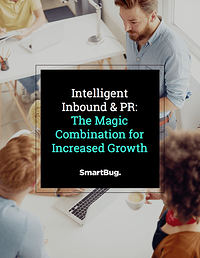 So how do you create the ultimate inbound PR newsroom? As part of the research for my book, I identified the formula for the perfect newsroom. The architecture of your newsroom is extremely important. Just as you design experiences for your buyers, you need to do the same for your media personas so that you can ensure that each and every one of their visits is remarkable. That happens by carefully planning things such as menus, subsections, above-the-fold info, and so on. The 17 things I mentioned above are a lot, so you need to spend plenty of time thinking about how you can combine all of the content and where you should put each item in your newsroom. Finally, you need to treat your newsroom like part of your own marketing strategy. No one wants to see a blog that was last updated a year ago, so update your newsroom regularly and optimize your content for search. Your agency (if you have one) can help you with that. Iliyana Stareva Iliyana lives and breathes inbound marketing for agencies. Before joining HubSpot, Iliyana spent three years in PR and digital consultancies in Germany and in the UK, working for some of the largest FMCG brands in the world and developing deep expertise in social media marketing and influencer relations. 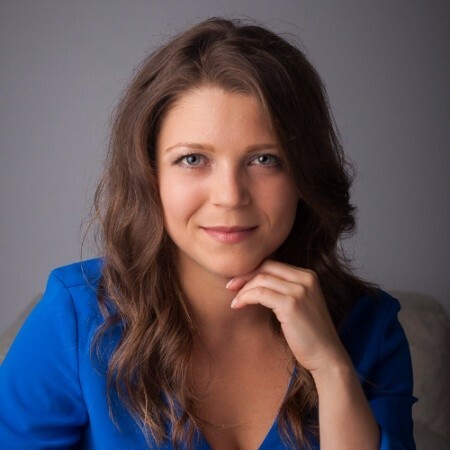 In her free time, Iliyana loves to blog and write about inbound PR, inbound marketing and agency business - an effort that brought the Inbound PR book to life, available for purchase on Amazon, Barnes & Nobles and more. She is also a passionate salsa dancer and an Insanity fanatic (that’s ShaunT’s workout programme). Read more articles by Iliyana Stareva.